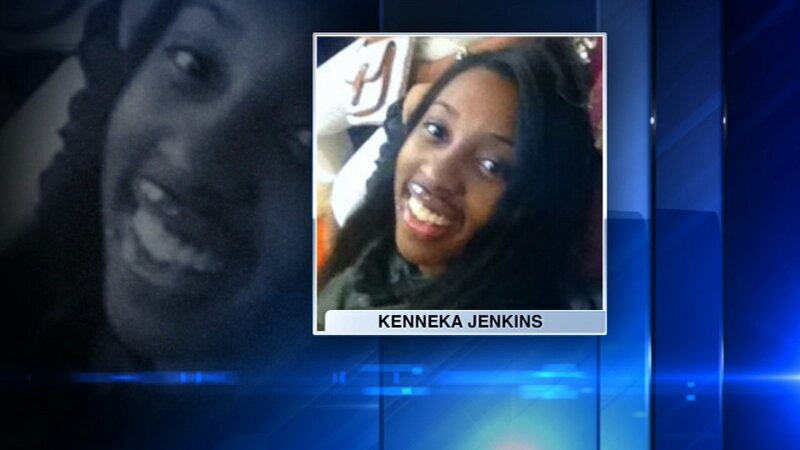 CHICAGO (WLS) -- The family of Kenneka Jenkins, the 19-year-old Chicago woman found dead in a hotel freezer in northwest suburban Rosemont, said photos they were shown Thursday by police raise more questions about her death. Surveillance video shows Jenkins stumbling through the Crown Plaza Hotel. Her body was found inside the hotel's walk-in freezer. Jenkins' family said police plan to release more information about the case to the public Friday. Jenkins was last seen at a party on the ninth floor in the early hours of Sept. 9, police said. She was reported missing at 1:16 p.m. that afternoon. Police told Martin that surveillance footage showed Jenkins inebriated near the front desk, according to Holmes. Hotel staff and management searched the hotel and discovered Jenkins inside a freezer at 12:24 a.m. Sept. 10, police said. In Friday's court filing, Martin's attorneys disclosed that Jenkins' body had no signs of physical trauma - including no signs of sexual assault. In the days and weeks after her death, Twitter and Facebook were flooded with conspiracy theories about how Jenkins had died, with some speculating that she was murdered in the freezer and her organs were harvested.